Business description - Established in 2012, Felix Industries Ltd is an Environmental Conservation Company with a fundamental vision of ―Recycle-Reuse-Recover-Reduce. The company is an expert in developing technological solutions and carrying out the construction work needed to operate its services. Since 2012 to 2017, Felix provided water & wastewater solutions/services to over 50 industries and MNC‘s in India along with aiding and spreading knowledge in the industry and municipal bodies. 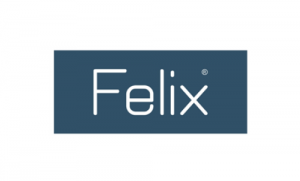 Felix is one of the leading players in the management of e-waste across the entire waste life cycle, from collection to recycling and material recovery. The company is continuously working to develop innovative technical solutions to offer its customers a range of collection systems that can be adapted to suit their specific economic and regional requirements. Felix Industries IPO allotment status is now available on Bigshare Services' website. Click on this link to get allotment status.